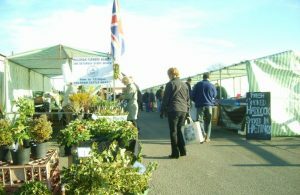 Hailsham Farmers Produce & Craft Market takes place on the second Saturday of every month and boasts a variety of delicious fresh produce and a diverse craft section for those unusual gifts. You can even buy fruit and vegetable plants raised and supplied by a local nursery so that you can “grow your own”. The Farmers’ Market offers free on-site parking, refreshments in the Market CafÃ© with its traditional fare, and has added a Boot Fair, making a wider range of items available on-site.